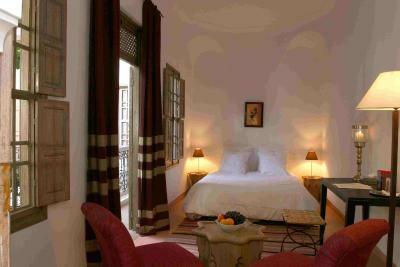 Lock in a great price for Riad Altair – rated 9.1 by recent guests! The staff was phenomenal. Very friendly, professional and accommodating to our requests. After spending three days trekking on the Atlas this was the luxury we were looking for. 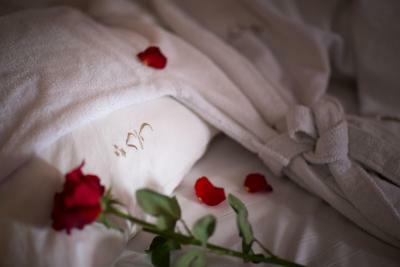 Welcoming and helpful staff, a tasty breakfast with very good coffee and a tastefully designed and very clean room with a large bathroom and comfy bed. Great quiet location, beautifully decorated and lovely staff. 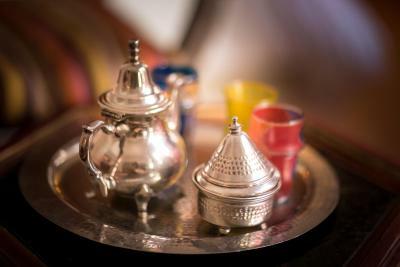 The staff was very nice, the food excelent and all the facilites were perfect. We really enjoyed our stay here. This a small hotel with only 6 rooms. It's best feature are its staff - super friendly, efficient, and multilingual (their English was excellent). Yasmin and Naoual particularly stand out. It is tastefully decorated in an understated sort of way. 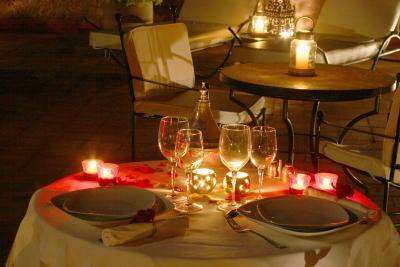 The optional evening meals are excellent as is breakfast - served up in a very relaxing atmosphere. Comfortable. Good bed. Nice breakfast. Great night porter at weekend. 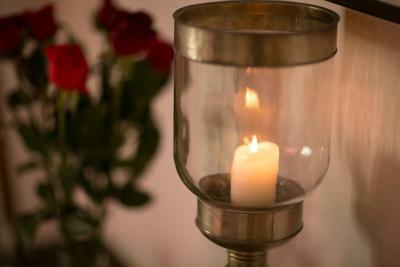 Lovely quiet candle lit dinners in, the food was exceptional. Both breakfasts & dinners were varied & made to order. 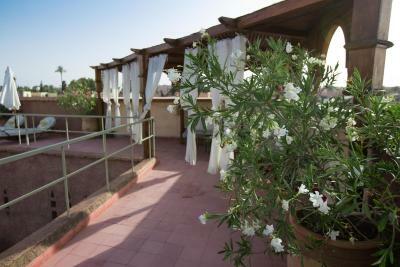 The roof terrace was a favourite for watching sunrise, sunset & enjoying the sunshine in relative private. 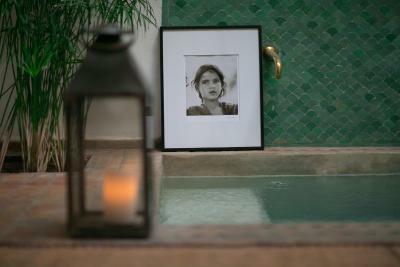 We arrived late at night and from the moment we entered the riad we were greeted with warmth and kindness. 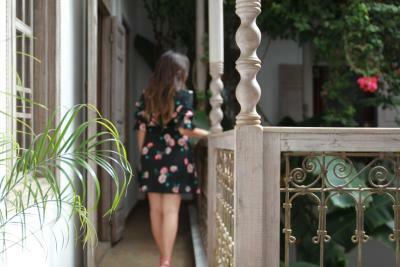 The rooms were so much better than in the pictures and our staff were always so kind; always offering advice to us about where to go and what to see and do. We’d wished we stayed longer here. We felt like queens! 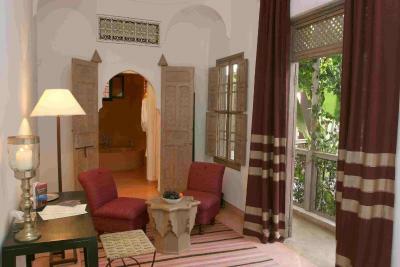 The riad is ideally located in a quiet street, only 350 feet from the Bab Doukkala mosque. 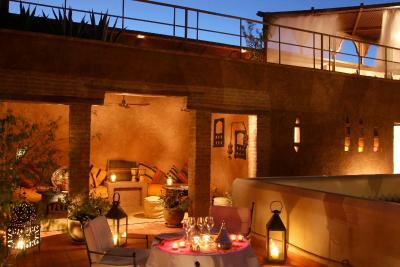 The Double Terrace on the roof offers a panoramic view of the Red City. 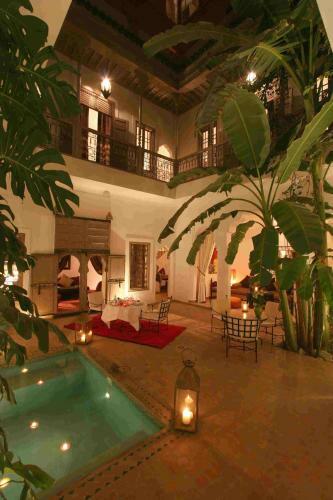 This characteristic Moroccan house has been completely renovated to offer modern comfort. The patio and pool will be a cool oasis in the heat of the day. 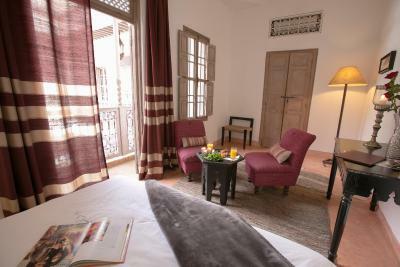 The Riad Altair features 6 large air-conditioned rooms, all decorated in a blend of traditional and modern styles. 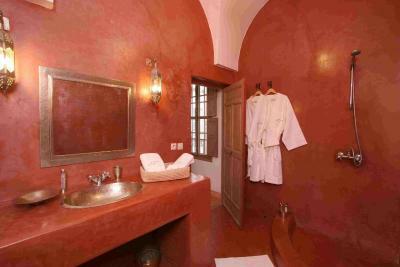 This hotel offers Moroccan cooking lessons, massages and beauty treatments. 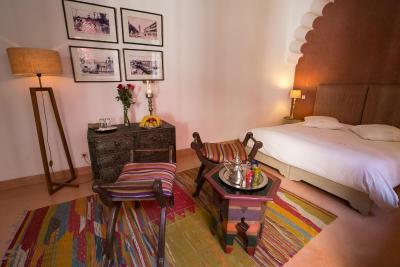 Thanks to its privileged location the riad is only a short walk to the bazaars and 10 minutes from Jamaâ El Fna Square. 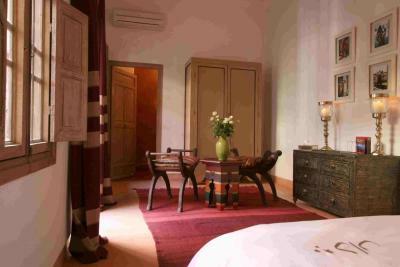 When would you like to stay at Riad Altair? 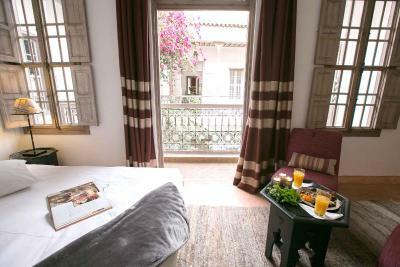 This double room features a balcony, patio and bathrobe. 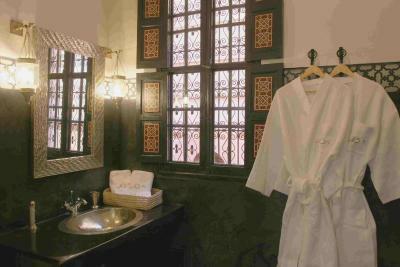 This double room features a patio, air conditioning and bathrobe. 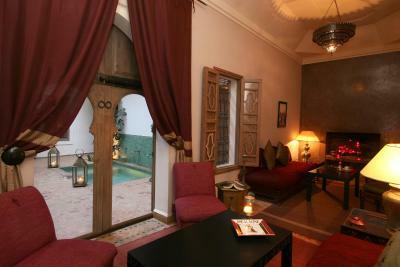 Riad ALTAÏR is situated in the heart of the Marrakech Medina from 10 minutes walk from the exotic Jemma El F'na square. 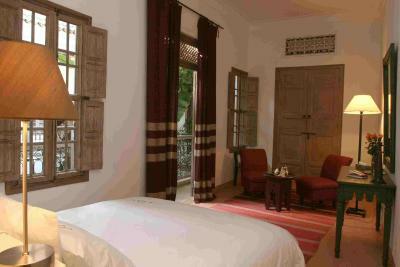 A staff of 6 people will take care for a lovely experience. Guarded Parking and Souks 3 minutes away. 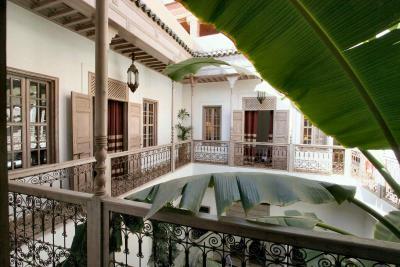 The Riad Altaîr' named is a haven of peace and relaxation. 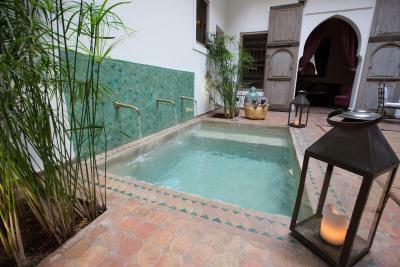 It boasts an indoor refresher pool, a planted patio, winter and 2 summer salons and 2 terraces with fabulous views to the snow-capped Atlas mountain range, and the roof-tops. 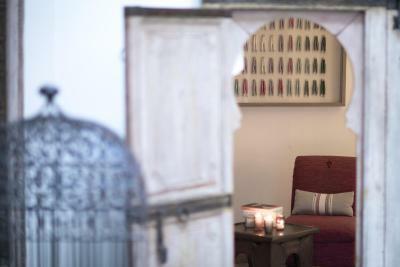 A dedicated staff will attend to your wishes, comfort, meals and enquiries. 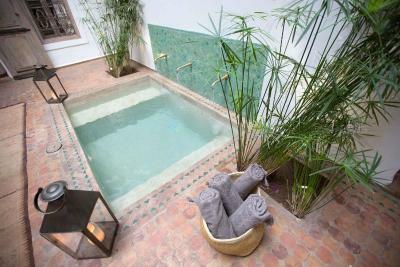 House Rules Riad Altair takes special requests – add in the next step! 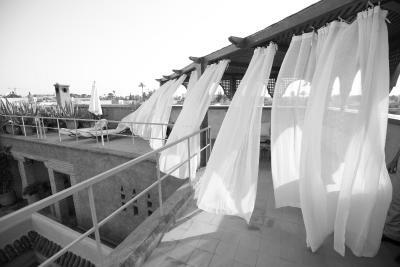 Riad Altair accepts these cards and reserves the right to temporarily hold an amount prior to arrival. Please inform Riad Altair of your expected arrival time in advance. 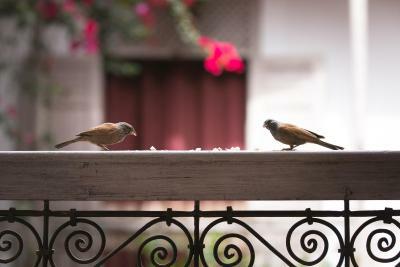 You can use the Special Requests box when booking, or contact the property directly using the contact details in your confirmation. The decor was beautiful. 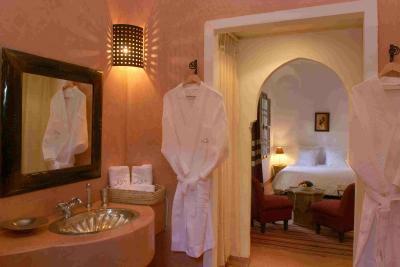 Large rooms and large bathrooms. Lovely and helpful staff. Good location. Great staff and great little place. Faster and more consistent WiFi. It was a little slow and glitchy for us. No swimming pool despite description saying it has. Poor shower. Noisy. We prefer to drink a bottle of wine with dinner. We did order a room with a bathtub (or so it said on booking.com); but we couldn't get a room with one. The staff were polite and accommodating. The room was spacious, clean and and well air conditioned. The bed was excellent (firm but comfortable) and the breakfast was delicious. Stayed here for one night and wished we could have stayed longer. Staff are super friendly and have time to have a chat to you, Breakfast was lovely. 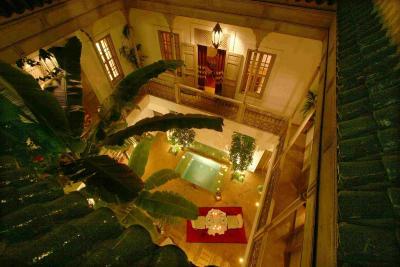 The Building and Rooms are amazing its like steeping into an oasis of calm when you enter the doors. Facility’s could not be faulted in anyway. 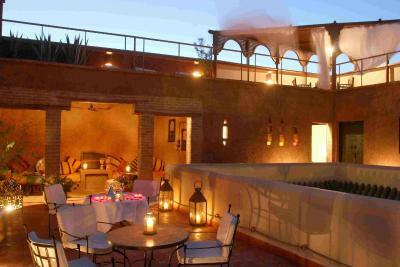 Would have no hesitation in recommending anyone to stay here and hope to return again myself.